You’ve spruced up a bit. Changed the linens, cleaned the silver and planned a delectable menu including your first foray into stuffing a turkey. But with all the fuss over whose to sit where, you haven’t given a second thought to dressing the table. 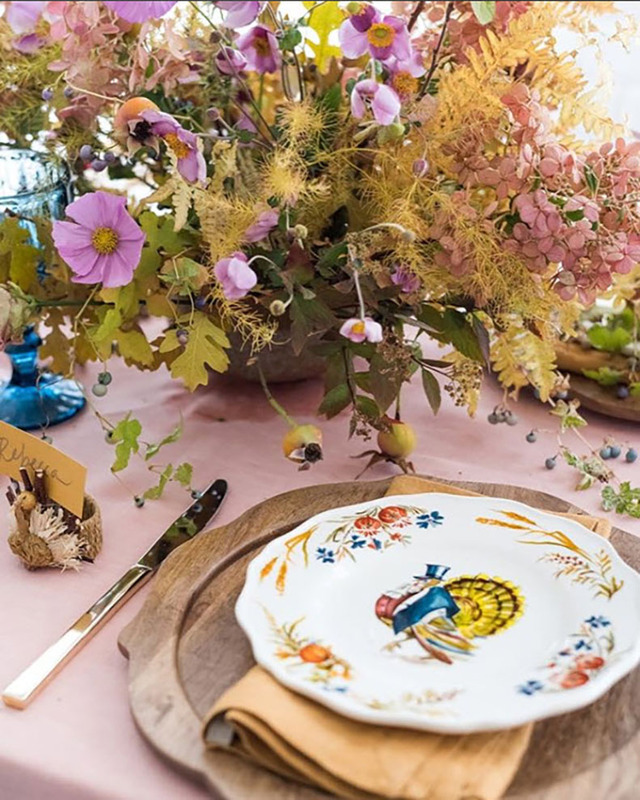 No worries, we are pleased to share some of our favourite influencers’ fall tables to inspire your own picture perfect Thanksgiving. 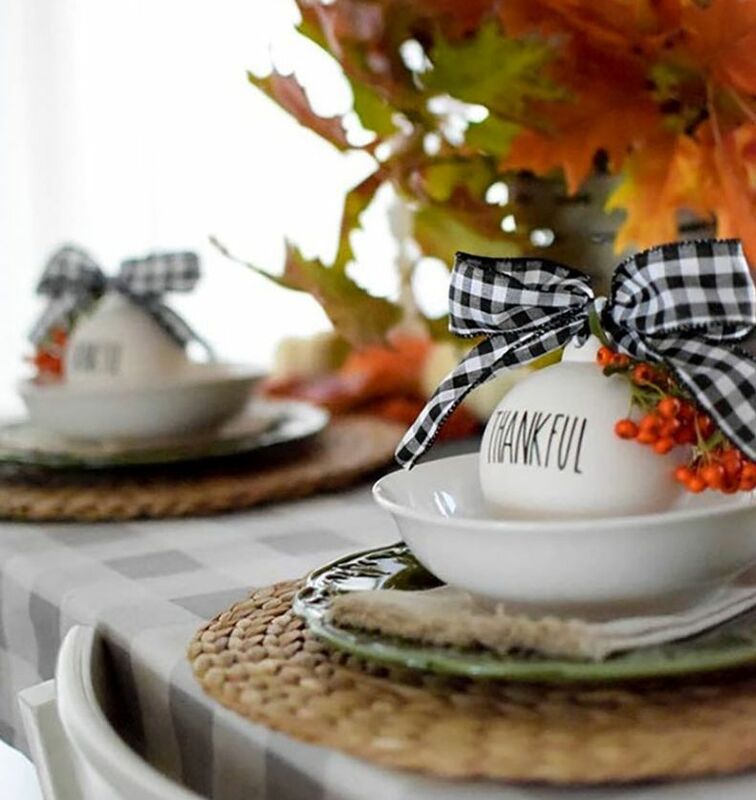 Include an ornament at each place setting like Vintagewhitefarmhouse. We love the country feel of this gingham ribbon. You can’t go wrong with a traditional full setting like Tracizeller. 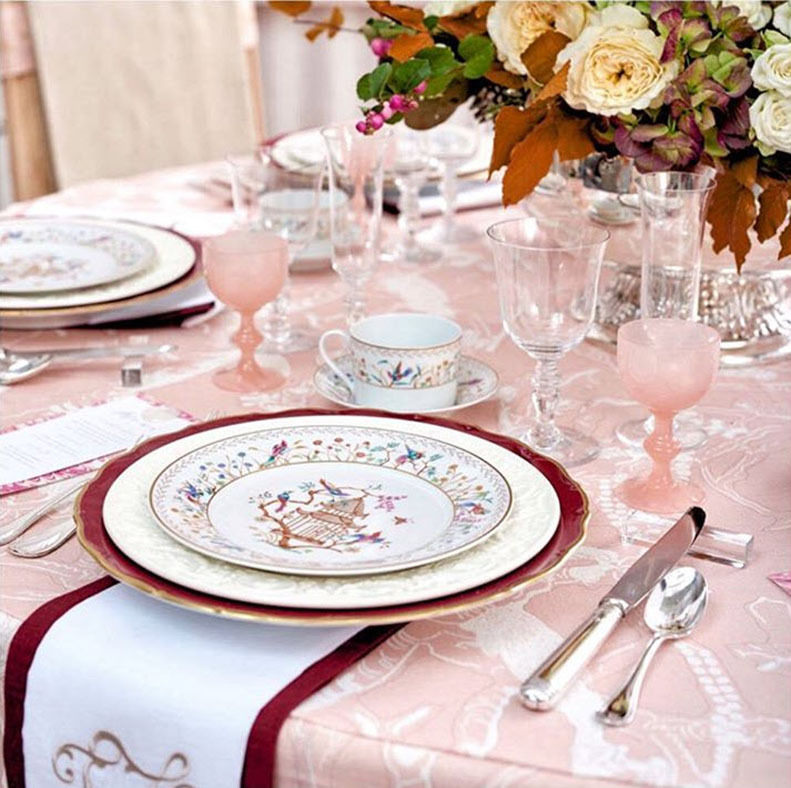 Dress up your table or create a more casual feel with our tablecloths and dinner napkins. A great idea for appetizers or dessert? 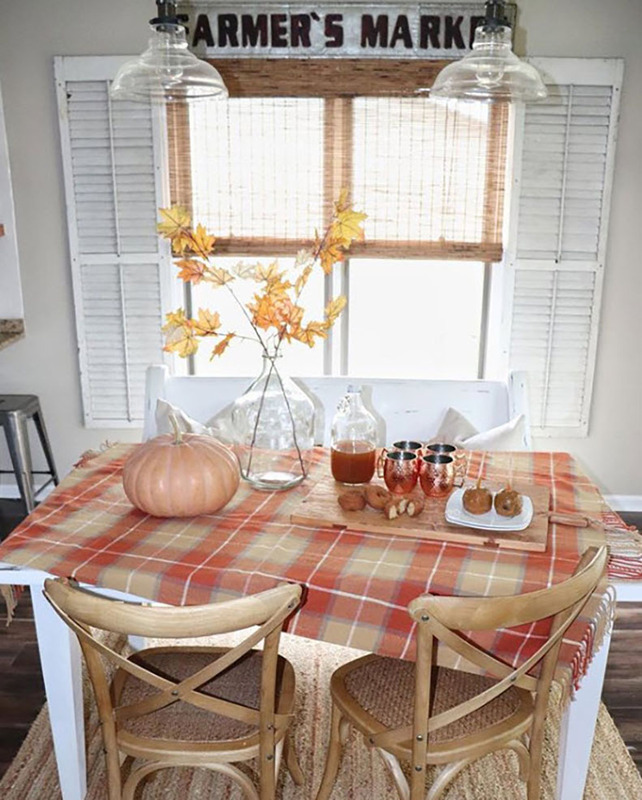 Randilynnblog sets up a small table and creates a cosy scene by covering with an autumn throw. We recommend our Dylan Check Throws. Don’t be afraid to mix up vibrant colors like Memehillstudio. 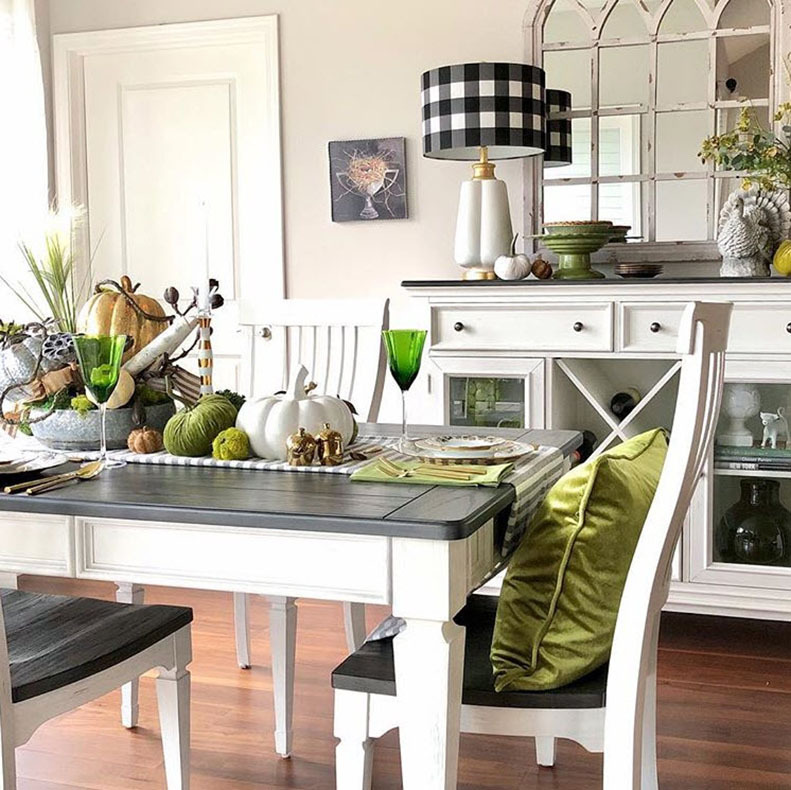 The splash of green with gold livens up the table. Add a colourful velvet cushion like our Nigella Square. 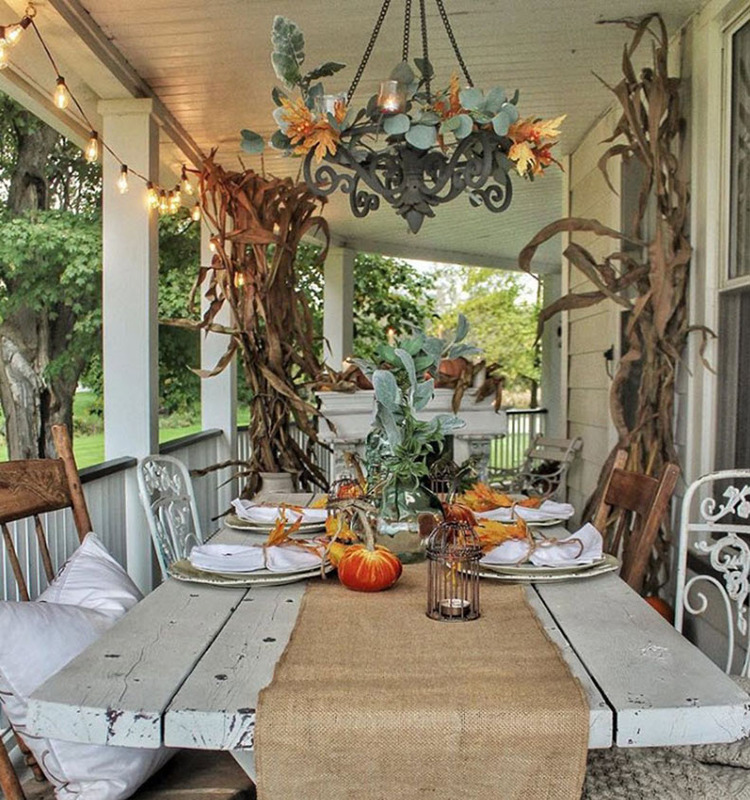 This country rustic look by Maplecreekmarket is perfect for intimate dining outside. Add one of our table runners or cushions to complete the look! 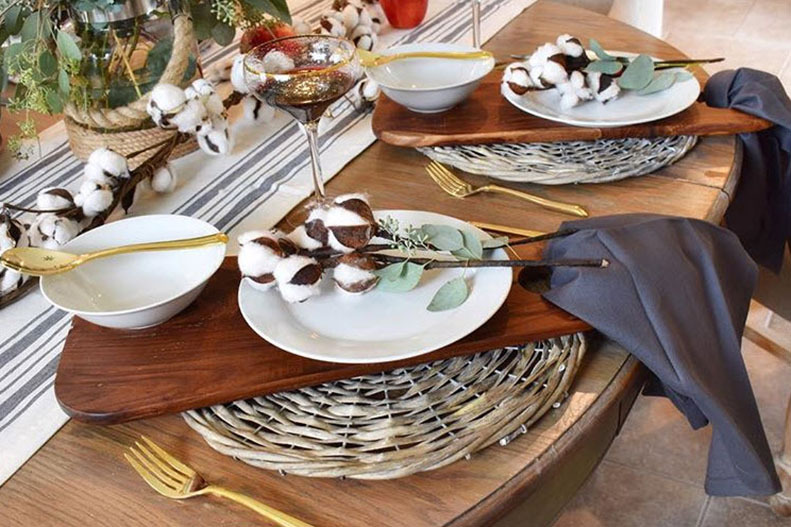 Modern plating ideas like Lemonstolovelys keep the table fresh. Add our new Mini Champagne Flutes to complement your dinner toast. Athomewithshanna plays with shapes and lighting. Our Scented Candles will add aroma to each place setting. You can also combine the place card number with autumn art in a frame as a gift for each guest. Houselarsbuilt welcomes color to her table! Choose one of our beautiful Botanical Arrangements. 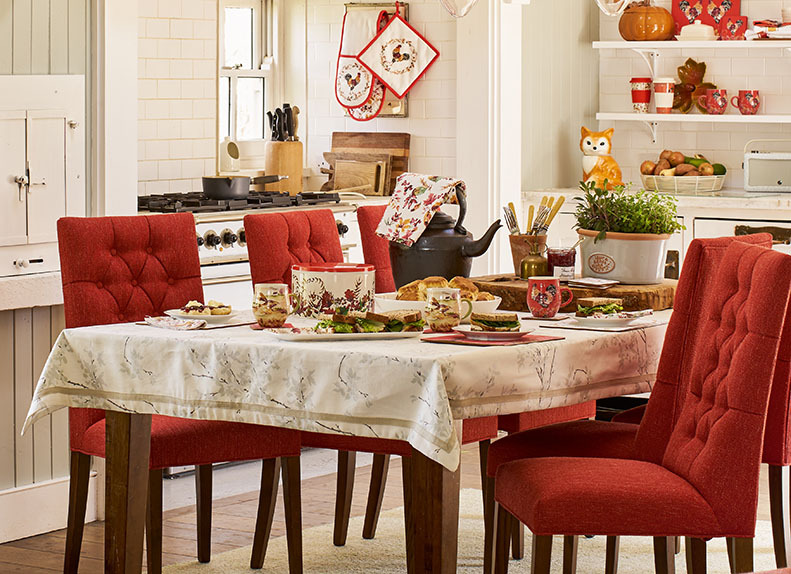 Don’t forget to tag @lauraashleyusa and show us your festive table for a chance to win a table runner! 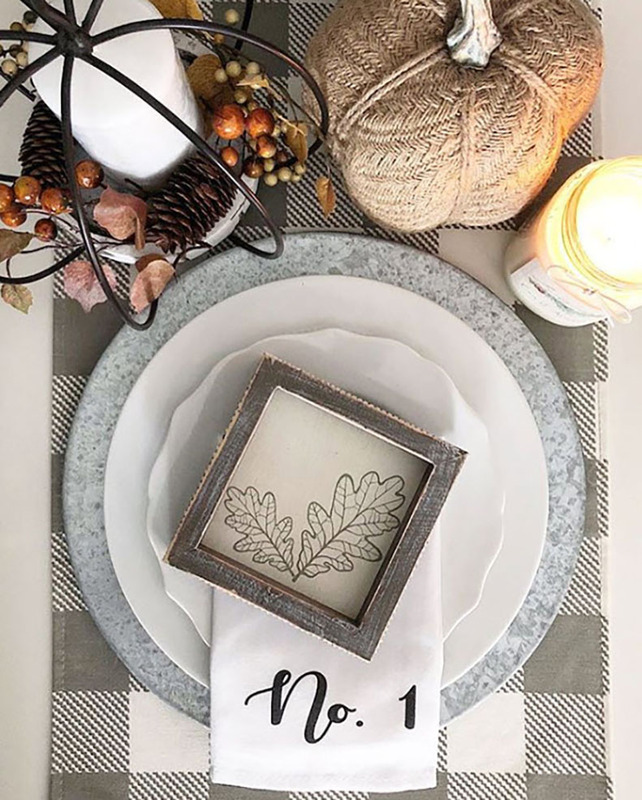 This entry was posted in At Home, Favourite Posts and tagged bloggers, diy blogger, festive table, home blogger, how to set a table, laura ashley blog, laura ashley usa, place setting, table decor, table setting, thanksgiving, thanksgiving decor, turkey day. Bookmark the permalink.